Polo sells in piles in Europe. Last year it was sold in over 300k units, which was its best personal result in last five years, but its dignity has to fall under some scrutiny. Despite good sales, it has been eight years since this supermini hit the roads and one usual mid-life nip and tuck shouldn’t prove sufficient, at least theoretically since people are still buying it. If we have to be honest some rivals took it even further since Fiat‘s Punto has been with us enormous twelve years in mildly changed outfit despite name was changed twice, while Opel has dared to offer the latest generation of Corsa with exactly the same underpinnings of predecessor, making all us wonder is it replacement or refresh. Anyway, Wolfsburg had it enough of prolongations, and the all new 2018 Volkswagen Polo is in front of us. VW’s lineup is not especially alluring visually, apart from Arteon, though it always draws crowds with bundles of other virtues. The same story was applicable to Polo’s case so far, but now, at least some slight change of direction is evident. That is not apparent at first sight as visual changes are closer to the definition of a refresh since the whole car is basically just sharpened up, although sleek-shaped headlights now have an amusing interior layout. Polo basically remains serious looking city car, probably only one in which man with a suit and tie doesn’t look silly. But, we mentioned some change of course and that would be painted in, as much as, 14 exterior colors, 12 different alloys, 13 interior dash colors and 11 available colors for the seats. For the first time, heavy customization found its way into any VW, which is very late to join the game, but you can finally make your Polo somewhat cute if you don’t dig its seriousness. The cabin was always seriously well built with thoughtful execution, but now with an abundance of above-mentioned color options, you can even make it damn pretty or at least interesting. The blackness of it, which we got used over the years, could be easily broken with bright colors on dash, door, and seats, leaving us, for the first time, with no negative remarks about it. Let’s continue with good stuff as technology part of it is amazing. Infotainment system can feature very sleek 6.5 or 8-inch screens, which luckily hasn’t renounced knobs, while special delicacy would be optional Active Info Display which is bit down-scaled version of Audi‘s Virtual Cockpit. The fancy side of it went even further with Dr. Dre-approved Beats trim level with the 300-watt sound system and some cool badges. There was no questioning what is going to underpin new 2018 Volkswagen Polo as much as any other VW. MQB platform finally arrived for it and brought additional 3.7 inches of wheelbase giving some extra air to the cabin. Engine list is traditionally long one and includes turbocharged 1.0-liter with output figures from 64 to 113 hp and turbo 1.5-liter boosting 148 hp. Diesel offer consists of turbocharged 1.6-liter with 79 or 94 hp. The complete novelty would be 1.0-liter being fed by natural gas and delivering 89 hp. You can browse between 5-speed manual, 6-speed manual or 7-speed dual clutch, though it’s just up to you as chosen engine pretty much dictates available shifters. Hottest offer is obviously still GTi model, now hiding under the hood turbocharged 2.0-liter I4 (200 cc more than before) capable of putting 197 hp on the road (5 hp more). 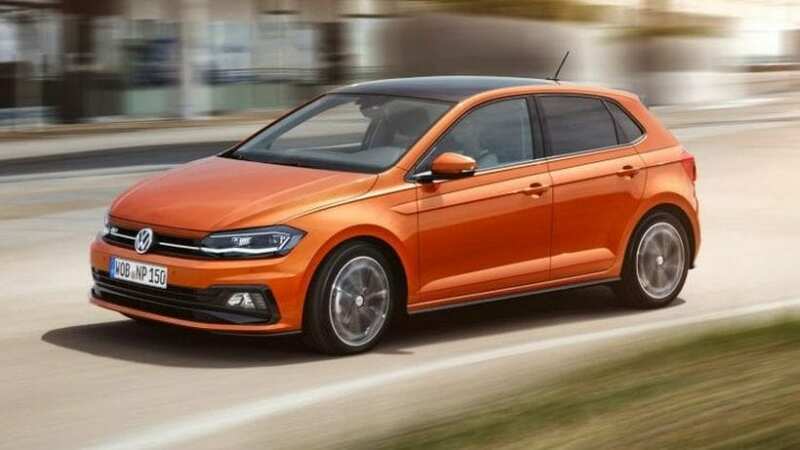 If you were drawn before by high refinement of the cabin or skillful engineering flavoring old Polo, but then repelled by its visual sternness and lack of charm, the new one now has a cure for that. 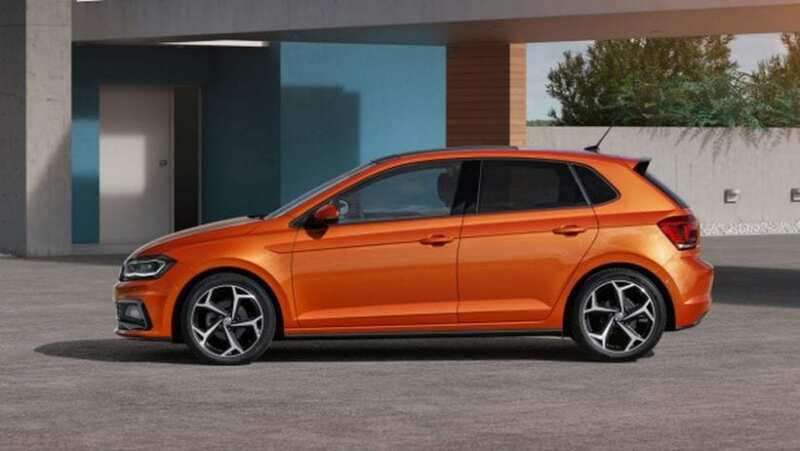 2018 Volkswagen Polo starts at similar as before €13k ($14,500) in Germany, but for the first time brings everything that you can ask for from a city car.